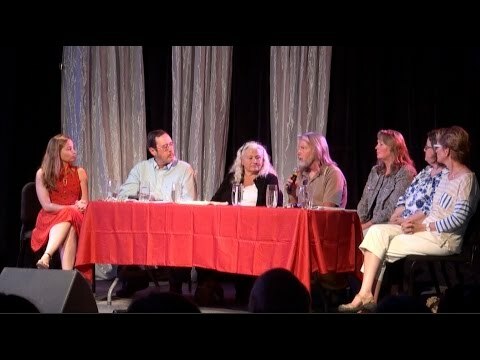 Family farmer and activist Lynn Henning exposed the egregious polluting practices of livestock factory farms in rural Michigan, gaining the attention of the federal EPA and prompting state regulators to issue hundreds of citations for water quality violations. Michigan’s livestock and dairy industries are well-connected in the state, with ties to the Department of Agriculture and footholds in nearly every county. While the industries provide significant economic benefit to the state, their lax environmental practices have ignited a citizens’ movement among rural residents living near their operations. Specifically under fire are concentrated animal feeding operations, or CAFOs, the large-scale feedlots where thousands of dairy cattle, poultry and pigs are confined for their entire lives. Dairy cows remain for milking while pigs and poultry are sent to slaughterhouses, whereupon the packaged meat is supplied to grocery stores and restaurants across the country. Michigan, with a long history of family farming, hosts more than 200 CAFOs, with many rural citizens living in close proximity to these facilities. CAFOs can house as few as 700 and as many as millions of animals in confined spaces with no natural vegetation, either in outdoor pens or in huge windowless structures. The animal excrement produced daily at a medium-sized CAFO amounts to that of a city with 69,000 people. High-pressure sprayers remove waste from the floors using powerful chemical solvents. The run off is then channeled into huge open pits or vats on the CAFO’s property, where it remains untreated. This toxic brew of feces and urine, chemical agents, pesticides, hormones, bacteria such as e. coli, antibiotics, blood and even birth fluid and decaying carcass parts is left to ferment for weeks, creating noxious fumes and dangerous chemical compounds like methane, ammonia and hydrogen sulfide. The waste is then trucked or piped to nearby fields, where the untreated substance is sprayed as “fertilizer,” seeping into ground water supplies and running off into local streams and rivers. Family farmers, economically stretched to near collapse, are often paid by CAFO operators to allow them to spray their fields, creating toxic conditions on their property. The resulting fumes and toxic waste in the water supply lead to significant health problems for those living nearby, such as hydrogen sulfide poisoning and giardia. CAFOs have recently been identified as some of the largest contributors to greenhouse gas emissions, as well. CAFOs are a fundamental part of the factory farming system that has developed in the United States as a result of the public’s insatiable appetite for inexpensive meat and dairy products. The livestock industry is also incentivized by large federal subsidies. However, the American public is largely unaware of the process by which most animal products arrive at their tables. In contrast, in rural Michigan, local people cannot escape the realities of factory livestock farming. The stench is described not as a normal agrarian manure smell, but something far stronger and more putrid that causes nausea, burning sinuses and breathing problems. CAFOs, usually operated by large conglomerates without connections to the local communities, have impacted the property values of homes and farms adjacent to them, with declines of up to 70 percent in some rural counties. While municipalities producing similarly large amounts of sewage are required by law to treat that waste, the state environmental laws that previously proved effective in controlling CAFO waste have been steadily weakened or repealed since the 1990s. By 1999, Michigan Department of Agriculture (MDA), a strong supporter of CAFOs, was essentially a gatekeeper between CAFO practices and the laws and state agencies meant to regulate the industry. The MDA continues to administer a voluntary compliance program for agribusiness regarding its adherence to state air pollution laws. In 2002, the Michigan Department of Environmental Quality (DEQ) regained authority to regulate water pollution and require permits at large CAFOs, but weak regulations and inadequate funding has limited their enforcement capability. Lynn Henning emerged as a leading voice calling on state and federal authorities to hold livestock factory farms accountable to water and air quality laws. With her husband, she farms 300-acres of corn and soybeans in Lenawee County within 10 miles of 12 CAFO facilities. Her mother-in-law and father-in-law, both in their 80s, live within 1000 feet of a CAFO operation, and have both been diagnosed with hydrogen sulfide poisoning. In 2000, as her small rural community was inundated with CAFOs, a nearby CAFO operator accused Henning and her husband of reporting the facility’s waste discharges to state officials, which they denied. The accusation prompted Henning and other concerned neighbors to form Environmentally Concerned Citizens of South Central Michigan (ECCSCM), and they began organizing to bring the CAFOs to justice. Soon, Henning was urging state and federal agencies to step forward and protect the environmental and public health of the region. Reaching out to neighbors, fellow farmers and EPA enforcement officials, Henning gathered as much information as possible about CAFO pollution spills, their locations and points of origin. Regularly driving a 125-mile circuit multiple times a week to track CAFO operations and surreptitiously take water samples, Henning began to understand the practices at CAFO sites that were causing the pollution of the area’s waterways. She joined forces with the Sierra Club’s Michigan Chapter as a volunteer Water Sentinel in 2001, and became a staff member in 2005. With their support, Henning led efforts to develop water quality monitoring programs to measure pollution levels from CAFOs and document their impact on local watersheds. Working with a volunteer pilot and a photographer, Henning used satellite imagery and GPS coordinates to document specific areas and waterways impacted by CAFO pollution. Henning and ECCSCM developed a body of data on CAFO operations beyond that of Michigan’s own regulatory agencies, including the DEQ. She brought her data and tools to state regulators to encourage them to take stronger enforcement action, sharing her monitoring techniques and aerial documentation, as well as her findings on CAFO pollution. As a result, the DEQ levied hundreds of citations against Michigan CAFOs for environmental violations. For the first time, in 2008 the DEQ denied a permit to a proposed CAFO facility, based largely on Henning’s findings and recommendations of the local citizens group fighting the proposal. While a new permit was later granted, the community crafted an appeal with Henning’s support. Henning regularly traveled to assist other communities across the country challenging CAFOs. Region 5 of the EPA, which serves several Midwestern states, has incorporated some of Henning’s techniques into its own CAFO investigations. Henning also helped form a statewide committee made up of representatives of the state departments of agriculture and health, the DEQ and Michigan citizens groups charged with conducting a first-ever assessment of the environmental impacts of CAFOs on public health. Lisa Jackson, former head of the federal EPA, stated that her department would take steps toward stricter enforcement of the Clean Water Act rules regulating CAFO waste. As a result of her activism, Henning and her family have been subjected to harassment and intimidation. Her mailbox has been blown up, dead animals have been left on her front porch and she has been followed and run off the road while doing water quality monitoring. Despite these threats, Henning has continued to help farming communities mitigate the effects of pollution from factory farms and now works as a field representative for the Socially Responsible Agricultural Project (SRAP). In 2015, together with the SRAP she launched a National initiative called the Water ranger program, training those affected by CAFOs to become citizen scientists. Lynn Henning, receiving her award at the 2010 Goldman Prize ceremony. 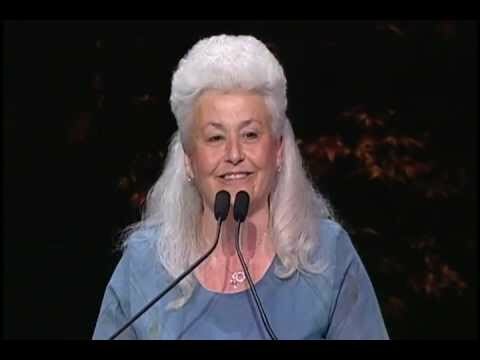 Lynn Henning, accepting her award at the 2010 Goldman Prize ceremony. Lynn Henning, 2010 Goldman Prize winner for the United States.